Dismissed by many MG enthusiasts, the Magnette Mk III signalled the true arrival of the "badge engineering" era for MG when the car was announced in 1959. The Magnette Mk III was part of the new Farina designed A55 / Oxford range of mid-sized BMC saloons all launched within a few months of each other in 1958/59. 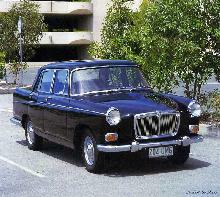 The "MG" version of the range shared the same bodyshell design as the Riley, although sporting a wider, less traditionally proportioned MG grille (the Riley grille was a much more elegant design in comparison). Thankfully the MG and Riley Farina shell had more discreet rear "fins" than the rest of the range despite being produced alongside their Morris and Wolseley sisters (both of which had the larger rear fins) at the Cowley factory. Mechanically the MG Magnette Mk III used a 64bhp, 1489cc, B-Series engine and the same suspension set-up as the rest of the range. 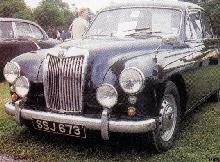 The cars suspension design was considered to be far to soft and uninspiring to be worthy of a MG saloon and did little for the cars image and reputation. 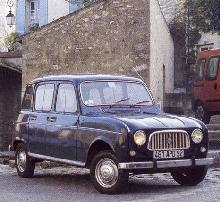 A slightly better Mk IV version replaced the Mk III in 1961. 8' 3" 4' 1" 14' 10" 5' 3" 0 (22) 0' 0"